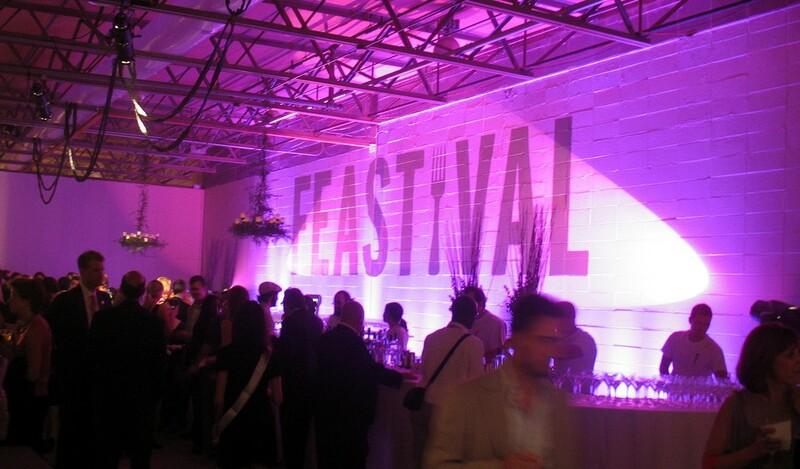 Feastival Recap | Blog | Di Bruno Bros.
Last night, Di Bruno Bros was proud to participate in Feastival, a charity event benefiting Philadelphia Live Arts. While donations, auctions and raffles are still being calculated, it is not too early to conclude that the event was a huge success. Mayor Nutter and Governor Rendell each auctioned a pair of Phillies playoff tickets in their private boxes, and several of the city’s best chefs auctioned private dinners, prepared and served in the home of the winner. Cherry Grove Toma Primavera, stuffed inside a Black Mission Fig, Wrapped with Prosciutto di Parma and Baked over a Bed of Rosemary. Shellbark Sharp Goat Cheese, Whipped with Butter and layered with Fig Jam, Basil Pesto and Crushed Honey Roasted Pecans. Keswick Creamery’s Lesher topped with Granny Smith Apple Gastrique. If you would like to serve these or other tasty treats at your next party, please contact our Catering Department. Sounds like Di Bruno’s has become synonymous with gourmet.. Good show! Yet, I also fondly remember the days when we were as likely as not to seek and find at DiBruno’s a piece of really aged auricchio provoloni, too sharp for many refined cheese lovers, or half of a caccio cavallo, hard and dense and plainly delicious. yum. I Need advanced notice to these events. I am drooling over the Cherry Grove Toma Primavera.